- Know from anywhere - Connect Nest Protect to Wi-Fi and it will send a message to your phone if the alarm goes off or the batteries run low. - Tells you what and where - It speaks up to tell you if there's smoke or CO and tells you where the problem is so you know what to do. - Carbon monoxide is odorless, invisible and deadly. When there's CO, Nest Protect tells you where it's hiding. 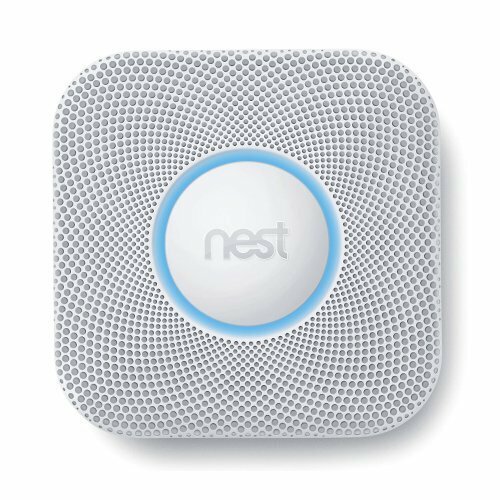 - Nest Protect tests its sensors and batteries constantly and lets you know they're working with a quick green glow at night. - Silence the chirp - Low-battery chirps ever rattle your dreams? Nest Protect shows you its batteries are good. Before you doze off.